In partnership with Culture Route, we are excited to provide you with the educational tools and cultural preparation to obtain an internationally recognized and accredited TEFL certification and embark on a life changing adventure of growth and learning! With this certification, you will gain skills that will help you to deal with different teaching environments and age groups, will teach you how to create and develop engaging lessons, and will help you gain confidence in your skills as a teacher! Comprehensive Resources. Students receive a 202 page course workbook and comprehensive resources, downloads, lesson templates and printable graphics they can use for their teach abroad experience. Personalized Gradebook. Students receive a personalized Grade Report PDF which summarizes and presents all weekly assignment grades with personalized feedback to create a complete portfolio of all of the feedback they received from the course. Letter of Recommendation. Students receive a signed letter of recommendation from our Director of Education. A personalized recommendation assures future employers of a student’s reliability and assists them in securing a job. We offer two course options. Both options will build your skills and resume, and get you ready to travel the world with your newly gained certificate. The difference between the two courses is the amount time it takes to complete them and how much time you are able to put into the course. Some employers require a 120 hour TEFL certification while others do not specify, so be sure to check with potential employers before committing. 60 hour course. Courses are offered on the first and third Monday of every month thereafter up to December 2019. 120 hour course. Courses begin on the first Monday of every month up to December 2019. 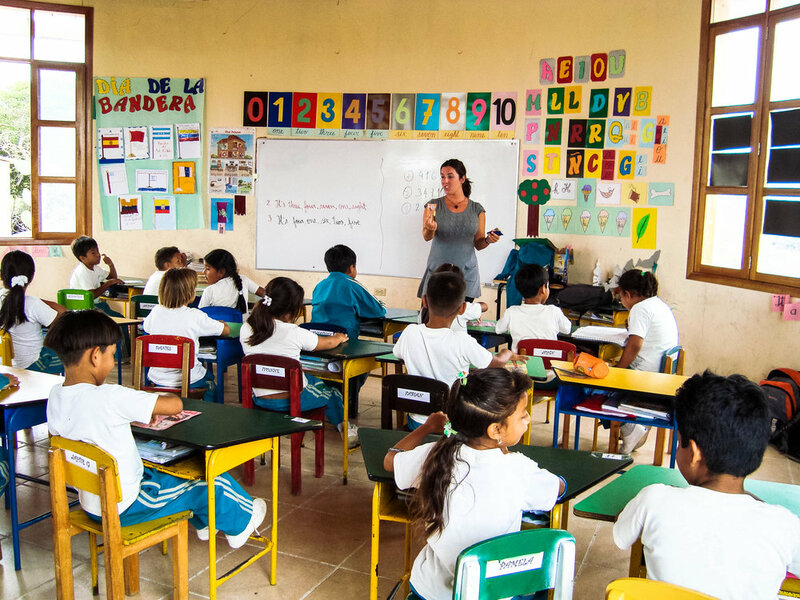 Interested in applying for the TEFL Certification? Fill out the application below and pay the program fee for the course. This fee holds your spot in our next class and includes everything you will need. You can also join us for one of our TEFL courses and put your new skills to work with our English TA position in Galapagos! Read more about that position here: English TA in Galapagos. Not ready to fill out an application but have questions? Contact us.